***ONLY 14,024 MILES FROM NEW! *** CARBON CERAMIC BRAKES WITH YELLOW CALIPERS! *** BRANDING PACKAGE! ELECTRIC AND HEATES SEATS! RIMS GIANO! CONTRAST STITCHING! UNICOLOR SPORTIVO INTERIOR! STOP BY OR CONTACT US TO LEARN MORE ABOUT THIS VEHICLE! 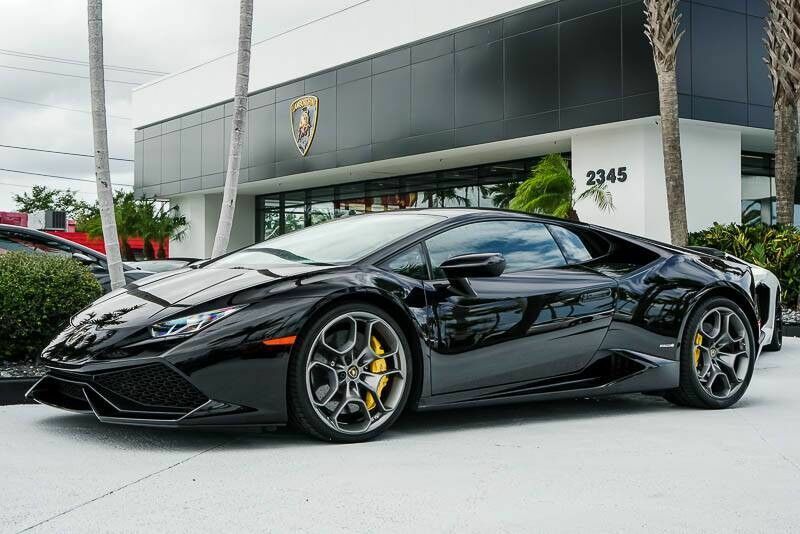 This 2015 Lamborghini Huracan is offered to you for sale by Lamborghini Palm Beach. Quality and prestige abound with this Lamborghini Huracan. Hit the gas pedal and put the engine power to all four wheels. With AWD, you'll have the greater performance right off the line, everytime you drive. In addition to being well-cared for, this Lamborghini Huracan has very low mileage making it a rare find. 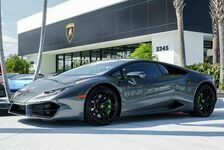 More information about the 2015 Lamborghini Huracan: The Huracan may be an entry-level car for the automaker, but it's still a Lamborghini and priced accordingly. With a base price of nearly $240,000, the Huracan is every bit the supercar its predecessor was. However this hasn't stopped Lamborghini from attempting to make the Huracan both easier to drive and a more pleasant place to be when not attempting to set a lap record at the local race track. The Huracan is equipped with all-wheel drive and a much smoother and easier to operate transmission than was fitted in the Gallardo. The interior is new and hugely improved, looking modern, angular and exotic, while still providing decent levels of comfort to go along with the car's sharper aesthetic. 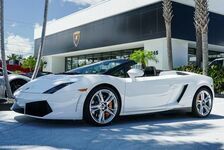 Strengths of this model include immediately recognizable as a Lamborghini, Ridiculously fast and powerful, and surprisingly easy to drive Come join our family at Lamborghini Palm Beach, where your buying experience is most important to us.